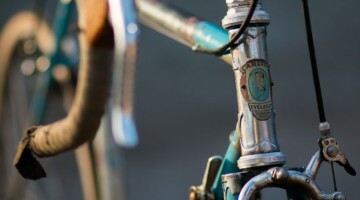 The Grifo Tread: Perfected Decades Ago or Far From Perfect? 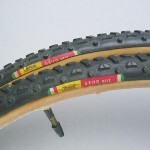 NOS Clement Grifo tubulars on eBay - The perfect tire, aged to perfection? 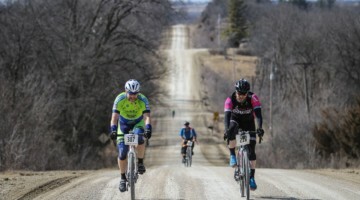 Cyclocross technology has come a long way. 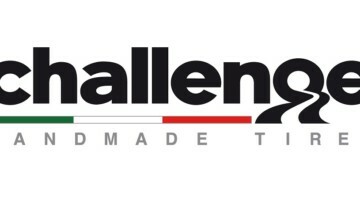 Nowadays racers can walk into a store and walk out with an 18 pound carbon ‘cross bike with an ultralight, stiff, carbon frame and fork with oversized tubes, headsets, and bottom brackets, easily adjustable brakes, an amazing 20 speeds (and indexed!) and complete with clipless pedals. 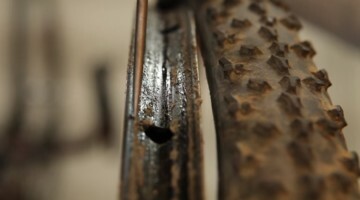 Yet on our race wheels, many of us are riding tires that haven’t changed much in nearly 30 years. A NOS pair of Clement Grifo Neve tubular tires was recently posted on eBay from Munich, Germany. 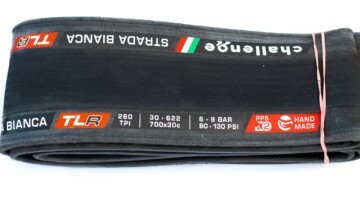 A quick look at the tread (from as far back as the late 70’s) reveals the same tread as the Challenge Grifo tubular tires of today and a similar tread to that of the Dugast Typhoon, Vittoria XG and Tufo Prestige. Todd Wells complained about exactly this lack of progression at the Superstar Seminar held during the Portland USGP weekend. Yet these exact same treads are continuing to win national championships (see our Issue 2 and 6). Is the ‘cross tubular the one thing that was perfected decades ago? Drop your thoughts below, we’re curious to hear your thoughts. "almost" perfect tread pattern. Somebody 20 years ago cut the mold right. It does have some limitations in the mud but not because the tread pattern is wrong, it's just a nice wide tire, which 99% of time is a plus. While the technology of farm tractors has changed dramatically, tractor treads haven't. The chevron patterns provide traction, clear mud, offer lower rolling resistance. 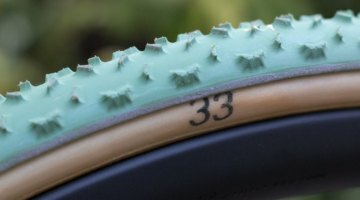 There have been a lot of other treads that have come and gone for 'cross, but doesn't it seem the only ones that have really stuck seem to be a kind of revised chevron as seen on the Rhino and Mud2 – which are specialized for extreme conditions? To a certain point I think that the suppleness and volume of the tires are more important to traction than the pattern of the tread – but that's just a personal opinion. For me the Grifo pattern may not cover the widest range of conditions, but it works on the most common conditions encountered. That ‘chevroned’ pattern the Grifo still utilized from original Vttoria and/or Clement molds (not sure of the history….need to ask Donn Kellogg) have stood the test of time….until it gets muddy. Dugast clearly knows this as well with their Typhoon tread being so similar. The advancements of producing a bigger-than-30c tire have probably been the most prolific change since the 60’s and 70’s with now a bit of a choice in size….e.g. 32’s and 34’s. Size and pressure play the most critical role as we know in 80% of our courses….with that remaining 20% causing us woes due to snow and mud here in the states. The Rhino is now super accessible and Challenges new/revamped mud tire will push this envelope even further. Cross is mainstream. The industry gets it. The long tail now needs to wait a bit for molds to develop and production to ramp up…. Actually I should have said that "the Grifo covers the widest range of conditions and is especially effective on the most common conditions encountered." 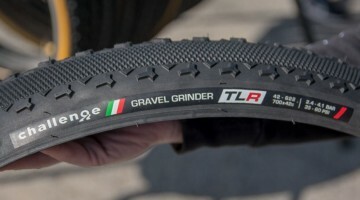 There maybe better tires for deep mud and better tires for hard-hard pack. But overall? I dunno. All though I haven't tried the Tufo's my second hand experience (friends) have shared the same exact thoughts: "slippery, and flatting …" though I understand that they are repairable.